A little over a year ago NHS Leeds produced the ‘Lav Nav’, a toilet map for Leeds City Centre. The intended purpose: to provide those for whom “your bladder controls your shopping route” the information they might need to access the city. The group that helped produce the guide evaluated each of the sites for accessibility. This information leaflet had an unexpected knock on effect. Such a visual representation of how few toilets there are prompted members of Leeds Older People’s Forum to take action. 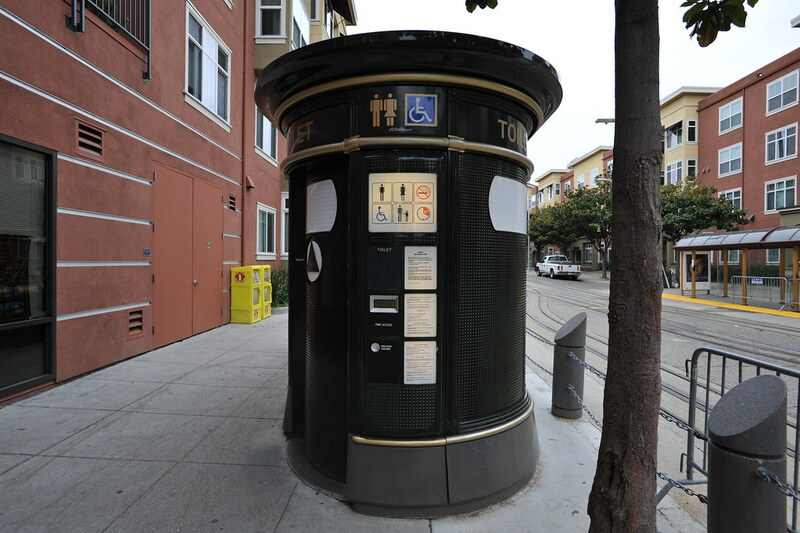 It wasn’t just the dismal number of toilets that was striking, but their poor accessibility. Furthermore, the toilets in the newest development were the least accessible: on the third floor, through a turnstile and chargeable. For me, here’s where one of the lessons from the Change One Thing training and toolkit comes in. One of the messages of the training: don’t run to your timetable. Despite the economic situation, Leeds has continued to build new developments in its quest to be one of the top cities for shopping. Two new major developments are planned and based on the ‘Lav Nav’ experience we cannot presume that new equals better when it comes to toilet provision. If we wait for a more ideal time, say when we have less to do around the impact of the cuts, it will be too late for us to make a difference. Like many Forums around the country we work as the strategic voice of older people in our area, acting as an interface between our members: third sector organisations and individual older people (a recent development), and statutory bodies. Campaigning is new to us but we see it as a valuable development for the Forum. Our member organisations have a key role to play when it comes to influencing change for older people but we really need individual older people as activists if we want to make things happen. I don’t think we are alone in the view that campaigning is the way forward; it reflects the mood nationally. The Forum has an important role in supporting that locally. But as I say, this is all new to us so we decided we needed some training and support. Change One Thing fitted the bill perfectly. 1. Joining forces with those who share the concerns gives you greater capacity and power, in this case: young families, disabled people, groups with concerns about city centre development. 2. Linking with disparate groups e.g. young people is a good way of attracting publicity and spreading the message further. I’m just back from the Local Government Group Conference in Birmingham where (in between admiring the range of free conference giveaways) I had some interesting and encouraging conversations with councillors. One of the things Age UK was promoting at the conference was our new Pride of Place campaign which calls on local councillors to take a lead in improving neighbourhoods for older people – and what was particularly encouraging was to hear from councillors who are doing just that. Two conversations in particular have stuck in my mind. One was with a member from a south coast borough council. As with many south coast towns, his ward includes many older people who have retired to the area. During his surgeries over the course of a few months, this councillor met three older residents who had all suffered falls on a particular stretch of pavement. In two-tier council areas, pavements are the responsibility of the county – so the councillor raised the issue with them. They duly inspected the pavement and reported that it didn’t meet their criteria for repair so they would not do anything about it. Stop taking the p… ? If you read the local paper where you live, you may well have come across a headline like this. With massive spending cuts looming, many local councils are planning the closure of their public toilets. The British Toilet Association is expecting at least 1000 public toilets to be closed in the next year. That’s on top of the 40 per cent decline we have seen over the last decade. It is true that public toilets don’t come cheap – upwards of £25,000 a year for toilets with an attendant. And it is also true that some toilets – particularly unattended ones – can attract graffiti and anti-social behaviour. Author Mary MilnePosted on January 25, 2011 January 25, 2011 Categories Campaigning, GeneralTags Health & wellbeing3 Comments on Stop taking the p… ?